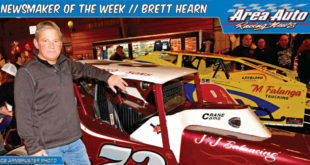 Sixteen year old Brandon Grosso, who has made his mark over the past two season as a Dirt Sportsman driver, will be switching gears by teaming with Myatt Snider Racing (MSR) for an ambitious 18-race asphalt Late Model assault and with Cunningham Motorsports for a six-race ARCA program. “Brandon will be racing Fords for Cunningham Motorsports,” Rick Grosso, Brandon’s father, said. “We have been fortunate to have established a relationship with Ford. Cunningham Motorsports is a solid operation,” Grosso said. Grosso will not turn 17 until March 30 and is ineligible to race with ARCA prior to that time. 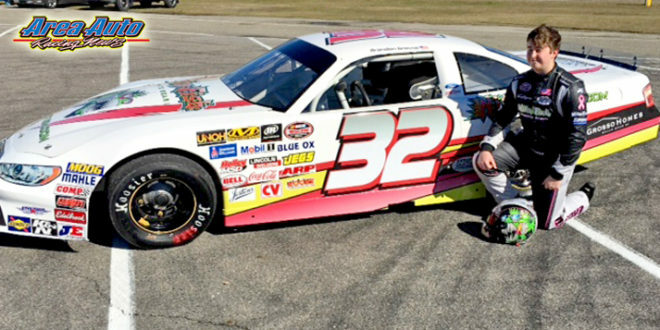 Recently amended ARCA and NASCAR age restrictions mean that Grosso cannot compete on superspeedways until the age of 18. Among Grosso’s ARCA races of choice for 2017 action are the Illinois mile dirt tracks at DuQuoin and Springfield, which should accentuate his opportunity, given his dirt track racing background. The half mile high-banked Salem Speedway is another race Grosso will drive in as well as the Bristol and Martinsville ARCA events. By restricting Grosso’s starts to six, he will retain eligibility to compete for Rookie Of The Year in 2018, and also for the ARCA championship. Grosso’s arrangement for the 2017 season with MSR came as the result of tests last fall in an ARCA car with Paul Andrews and Cunningham Motorsports at Motor Mile Speedway in Virginia and Salem Speedway in Indiana. Snyder, who raced for Cunningham Motorsports last year, is moving to Kyle Busch Motorsports team in 2017. Grosso ran six Late Model races in 2016 and was an entrant in the Myrtle Beach Super Late Model race this weekend with an MSR car. Rick Grosso said that one factor that ‘opened the door’ for his son is that Brandon was able to win races at so many different speedways in 2016. Grosso won Dirt Sportsman features at six different speedways, Big Diamond, New Egypt, Grandview. Georgetown, Five Mile Point, and Bridgeport – and earned the 2016 Sportsman titles at both Big Diamond and New Egypt. While this season marks Grosso’s first full time venture into asphalt short-track racing, it isn’t the first time he has competed in stock cars. He drove some Limited Late Model races back in 2014 for Roger Johnson and the Performance Warehouse Racing Team. The youngster’s first test at Hickory (North Carolina) Motor Speedway that year drew the attention of one of the sport’s most seasoned veterans, Dexter Canipe. Grosso heeded the advice of Canipe and returned to dirt racing in order to get more experience. Grosso’s Late Model team will be led by veteran crew chief Jeff Caudill and will operate out of his shop in Four Oaks, NC. The schedule will see Grosso compete in all 12 CARS Tour LMSC division races in 2017, as well as select NASCAR Whelen All American Series events. Grosso will be driving the primary car out of the MSR stable this season. Snider, who is set to be behind the wheel of a Kyle Busch Motorsports entry in eight NASCAR Camping World Truck Series races this year, will also be a teammate to Grosso in several of the LMSC events. “After Brandon’s team came to us looking for some direction, we went to work on the objective of getting him the experience he’ll need to get to the next level in his racing career,” said MSR team owner Marty Snider. “It was a perfect fit for us at MSR as we’ve been plotting the same course for Myatt for a couple of seasons now and it has been proven successful. 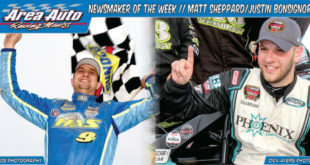 “The bonus aspect for everyone involved this year is that Myatt will continue to supplement his truck racing program for KBM with a solid schedule of Late Model Stock Car races,” added the elder Snider, a noted veteran broadcaster for NBC-TV Sports. “I’m ready to get this year started and I’m really looking forward to it,” said crew chief Caudill, who has managed the MSR team since Snider moved up to Late Models four seasons ago. 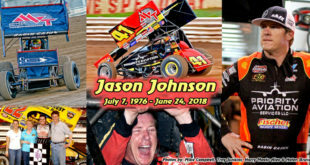 “Running Brandon in the whole CARS Tour schedule will be a challenge that we are ready for. We had so much fun running it with Myatt two years ago and almost won the title. 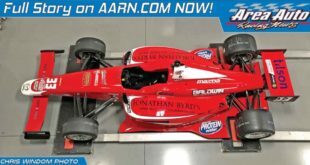 In 2015, Grosso was the first racer ever to receive special permission from the State of New Jersey to compete in a full-size racecar at the age of 15. That allowed him to participate in the Dirt Sportsman and Dirt Crate Modified divisions at the New Egypt Speedway. In his rookie season, he claimed five feature wins and finished third and fifth, respectively, in the division’s point standings. Grosso competed on the VP Race Fuels Short Track Super Series during the 2016 season, while also racing a regular schedule at New Egypt. 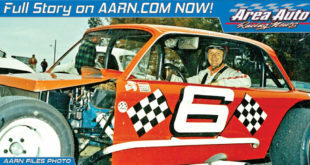 He won 18 Dirt Sportsman races. 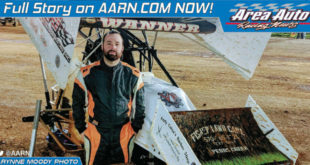 “I’ll always be thankful to Dexter for giving us his advice,” said Grosso, who began his racing career in 2005 and honed his skills in Quarter Midget Racing where he amassed 250 wins and claimed 17 championships. 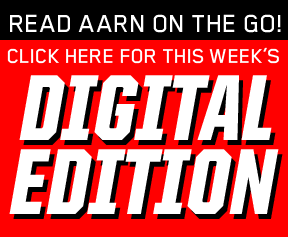 “We wanted to give Brandon a little extra seat time before we headed to Myrtle Beach, so we took Myatt and him to Kenly (Southern National Motorsports Park) a week earlier for a little testing,” said Caudill. “I thought the day was well worthwhile. He and Myatt worked really well together. Grosso will not be forsaking his New Jersey dirt tack racing roots. 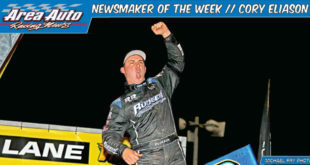 When he is not racing an ARCA car or competing with the CARS Super Late Model circuit, he intends to move-up to race at New Egypt Speedway in the headline 358 Block Modified class.